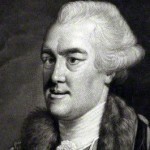 John Wilkes (1725-1797) was a British writer and politician, and probably the most famous English radical of his time. Born in London, Wilkes was educated in Hertford and later in Holland. 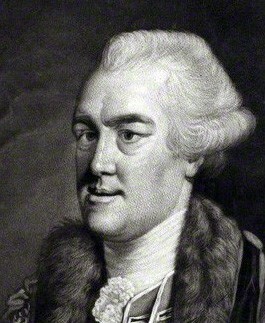 He held a number of offices prior to his election to the House of Commons in 1757. Contemporary reports suggest that Wilkes was unspeakably ugly, however, he was flamboyant and charming, a raconteur blessed with a razor wit. Initially loyal to the crown, Wilkes soon became one of its sharpest critics. During the 1760s Wilkes’ weekly newspaper, the North Briton, regularly attacked the king, his ministers and advisors for their alleged corruption and incompetence. Some of these criticisms focused on Britain’s imperial policy towards the colonies, whose rights and grievances Wilkes supported. His North Briton No. 45, published in 1763, saw Wilkes thrown into prison for seditious libel, however, he remained enormously popular with the people. In the late 1760s, Wilkes was re-elected to parliament, where he joined Burke, Pitt and others in opposing war with the American colonies. He later became an alderman, then Lord Mayor of London.